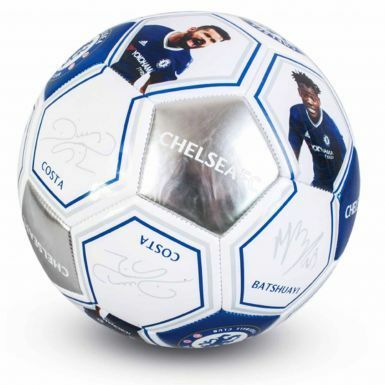 This official Chelsea FC player photo and signature Soccer ball is a regulation Size 5 and is made from a durable PVC material. 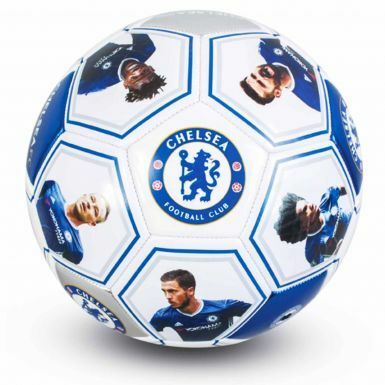 This Chelsea FC Soccer ball has full colour images of star players and will give all Chelsea fans many hours of playing pleasure. 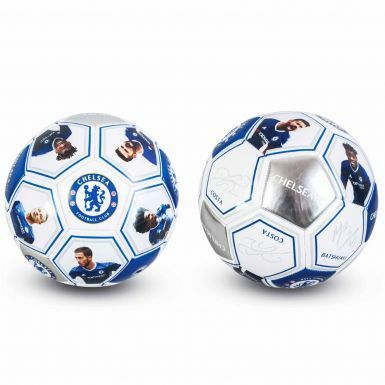 This soccer ball will be posted deflated and without a pump.